Price listed is for each stone. 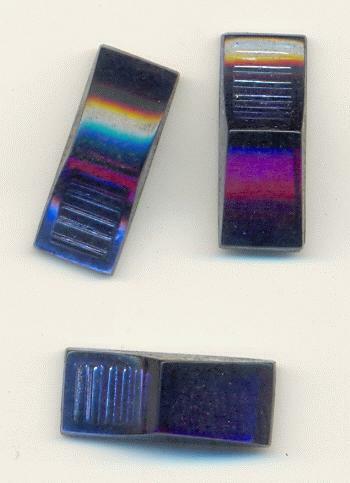 They are approximately 16.5mm by 7mm sapphire fancy stones. These top of these stones have a sharp slope on one side like a triangle, the other side has a curving slope. Through the slope you can see the foiled design of lines. The backs are flat except for the area with the lines and it is slightly recessed.